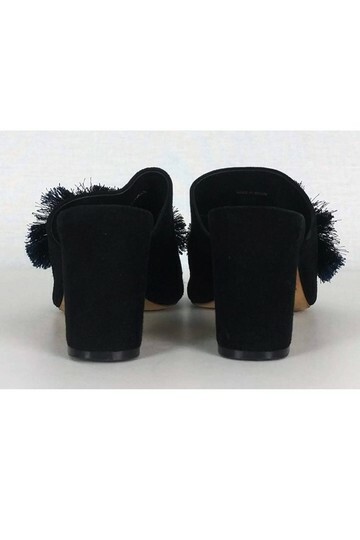 Fabulous slip on mules with a chunky blocked heel. 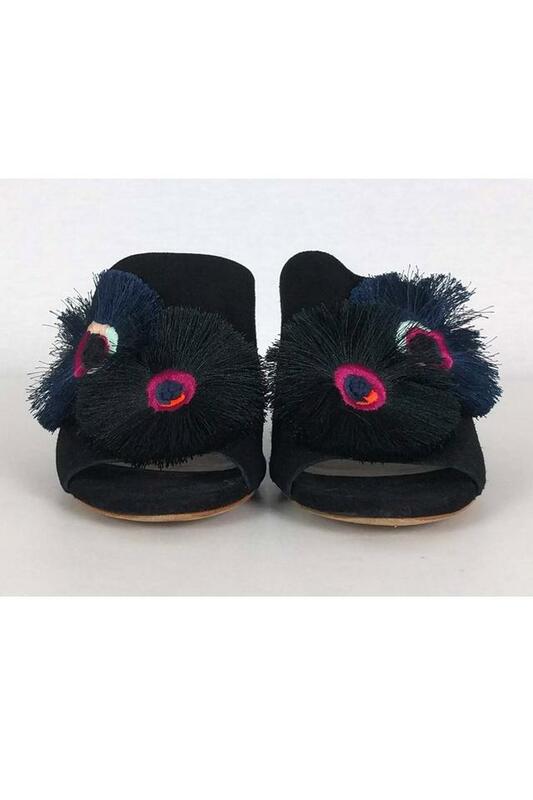 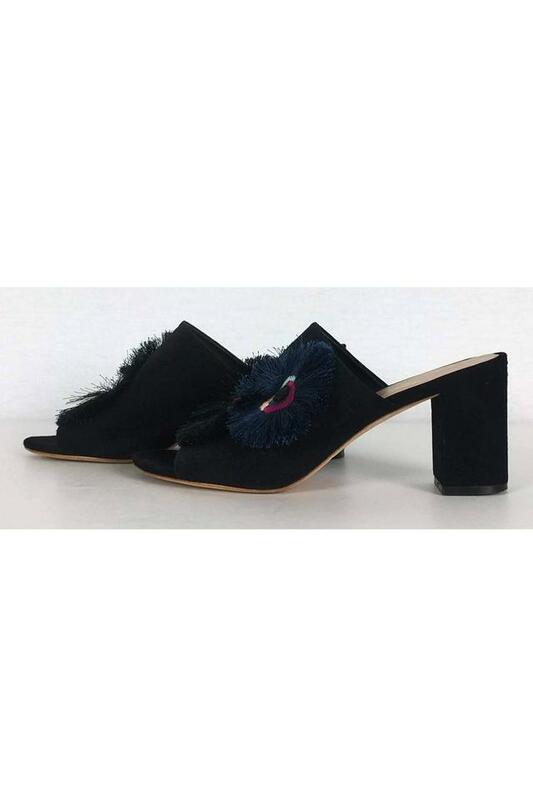 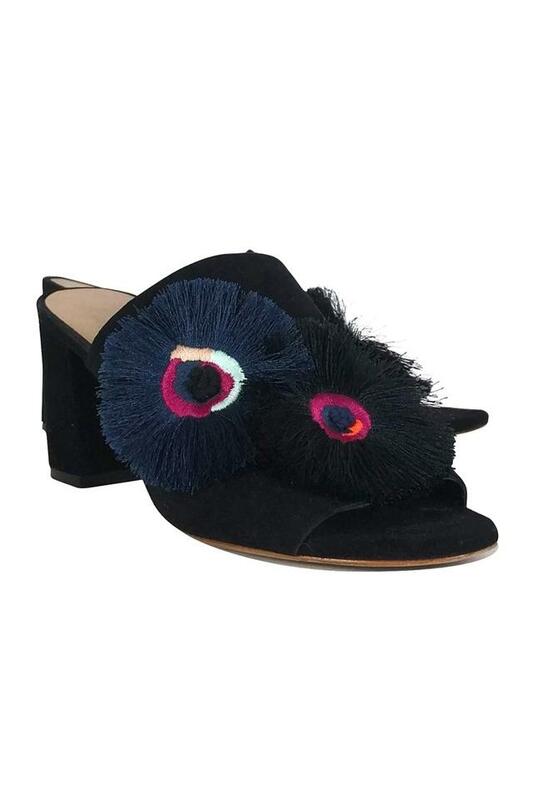 Chic embroidered tassel circles adorn the front of these shoes. They are bound to make a statement with any look.